The Two Prince’s – I Am Not Ashamed Of The Gospel Of Christ! There are two Prince’s in the earth today, satan is known as the god of this world and dwells in darkness and who has deceived and blinded many to God’s way. 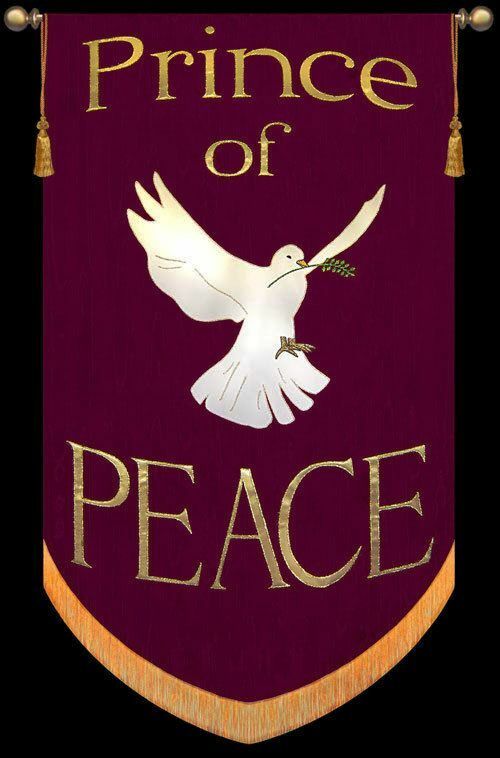 And Jesus is the Prince of peace and light that dwells among God’s people through the Holy Spirit. They are at constant battle for the life of men! “But if our gospel be hid, it is hid to them that are lost: In whom the god of this world hath blinded the minds of them which believe not, lest the light of the glorious gospel of Christ, who is the image of God, should shine unto them”. (2 Corinthians 4:3,4). Jesus even said that judgement would enter the world because satan who is the prince of this world would enter and have nothing in him, but would send the Holy Spirit as a comforter to his people.”But the Comforter, which is the Holy Ghost, whom the Father will send in my name, he shall teach you all things, and bring all things to your remembrance, whatsoever I have said unto you. Hereafter I will not talk much with you: for the prince of this world cometh, and hath nothing in me”. (John 14:26,30)……..(John 16:7-14). God already knew of the frailty of man and that he was in need of a Saviour for his soul. The wickedness of man was greater than the light and the darkness would overtake many unless he sent the light his Son into the earth. “In him was life; and the life was the light of men. And the light shineth in darkness; and the darkness comprehended it not. Little children, let no man deceive you: he that doeth righteousness is righteous, even as he is righteous. He that commiteth sin is of the devil; for the devil sinneth from the beginning. For this purpose the Son of God was manifested, that he might destroy the works of the devil”. (John 1:4,5)…..(1 John 3:7,8).. The constant battle for man’s soul is only broken if we understand that satan is head of principalities,spiritual wickedness and is the ruler of the darkness of this world. Therefore God has told his people they would need his armour for battle. “Put on the whole armour of God, that ye may be able to stand against the wiles of the devil. For we wrestle not against flesh and blood, but against principalities, against powers, against the rulers of the darkness of this world, against spiritual wickedness in high places. Wherefore take unto you the whole armour of God, that ye may be able to withstand in the evil day, and having done all to stand”. (Ephesians 6:11-13).To read of the whole armour God offers his people please read Ephesians 6:14-19. Jesus has overcome all that satan has tried his best to deceive people with. His light shines in the heart of all Believers and there is no room for the works of darkness. “Giving thanks unto the Father, which hath made us meet(fit) to be partakers of the inheritance of the saints of light: Who hath delivered us from the power of darkness, and hath translated us into the kingdom of his dear Son: In whom we have redemption through his blood, even the forgiveness of sins: Who is the image of the invisible God, the firstborn of every creature: For by him were all things created, that are in heaven, and that are in the earth, visible and invisible, whether they be thrones, or dominions, or principalities, or powers: all things were created by him, and for him. And he is before all things, and by him all things consist”. (Colossians 1:12-17). When we turn to God through all the turmoil of life he quickens us from our trespasses and we are no longer disobedient to his will, But obedient unto death and receive eternal life for having lived a life for our Saviour. “And you hath he quickened, who were dead in trespasses and sins; Wherein in time past ye walked according to the course of this world, according to the prince of the power of the air, the spirit that now worketh in the children of disobedience”. (Ephesians 2:1,2). The light of Christ was fortold by the prophet Isaiah! “The people that walked in darkness have seen a great light: they that dwell in the land of the shadow of death, upon them hath the light shined. For unto us a child is born, unto us a son is given: and the government shall be upon his shoulder: and his name shall be called Wonderful, Counsellor, The mighty God, The everlasting Father, THE PRINCE OF PEACE”. (Isaiah 9:2,6).